Designed to be an integral part of your product. 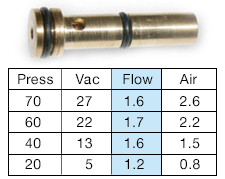 PERFORMANCE CONSIDERATIONS when Vacuum Flow is the primary requirement. 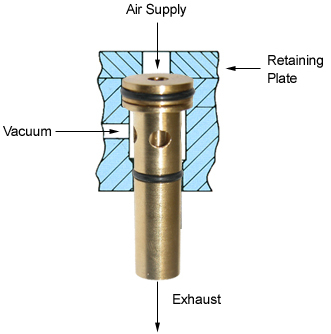 • Maximum Vacuum Flow occurs at 40-60 psi. • Operating Pressure of 20 psi provides 70-80% of maximum flow. • Low pressures will minimize air usage.